For twenty years, Royal Wolf has provided solutions for the removals industry as its biggest supplier of containers. Craig Baker, National Removals Manager at Royal Wolf, has been leading the way for more than half that time in what will be his 10 year anniversary this year. Craig heads Royal Wolf’s dedicated Removals Division, which is committed to servicing and building new containers for the industry, offering years experience and product innovations designed to suit the specific needs of removalists. “Over the last ten years I’ve seen Royal Wolf increase the number of locations we service, including a growing number of regional areas around Australia,” said Craig. “As we’ve continued expanding our reach, it has made me appreciate how big our country really is. Our team have been challenged to come up with solutions to be able get into those difficult-to-access places, including some areas of Port Headland, Darwin and Far North Queensland. We are committed to providing our solutions to everyone across the country, so no hurdle is too great for us,” he said. At any one time, Royal Wolf has over 7,500 units on hire travelling around Australia. In order to ensure it is able to meet increasing demand and continuously improve its fleet, Royal Wolf invests in purchasing thousands of new containers each year. 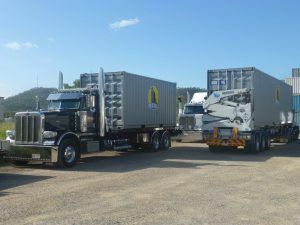 “Royal Wolf has developed a fleet replacement program to ensure we have the youngest fleet in the container hire market,” said Craig. Improvements and innovations in technology over the last decade have also ensured that Royal Wolf has always been able to meet the evolving needs of its customers and keep up with industry standards, as flexibility and remote access to information have become a necessity. “Our web-based Container Tracking System has become more advanced in the last ten years, and is now more accurate than ever before. We have an unrivalled capacity to allow the transfer of containers and associated costs between branches and agents, and facilitate one way hire and interstate repositioning,” said Craig. “This means that when a customer completes a job in one location and wants to keep the journey going for another, they can keep moving without having to start all over again. We’re able to track that unit no matter where it is, to make the experience easy and seamless as possible,” he said. “The other major change I’ve seen in the last decade is the upgrade to high-cube containers. By increasing the height of our containers by one foot, we are able to get a higher volume into each unit without needing a bigger truck. 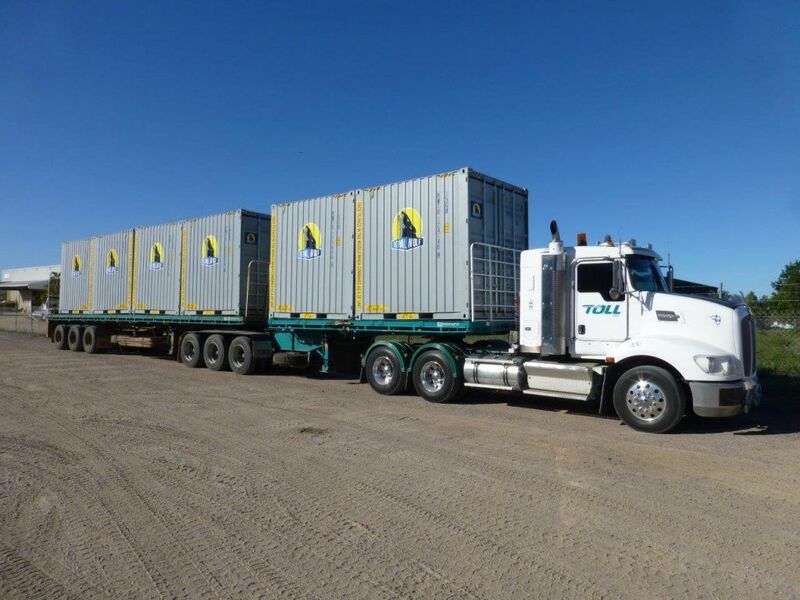 This has been a smart, simple solution that has revolutionised the level of service within the industry.” In addition to large residential house moves for consumers moving interstate, Royal Wolf is very proud to be the largest supplier of containers for moving government and defence force personnel around the country. “Members of the defence force rotate around the country every three years or so, and when this happens they need to move their entire homes and families with them - sometimes even to the other side of the country.